Not all abuse is visible. 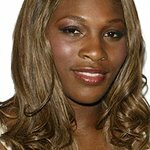 Allstate Foundation Purple Purse has teamed up with tennis champion and Allstate Foundation Purple Purse ambassador Serena Williams to raise awareness of financial abuse — a type of abuse that happens in 99% of domestic violence cases. Yet, nearly 50% of Americans don’t know about it.